“Office noise.” That’s the answer most employees give in response to working in an open plan area. Now, there are many advantages to working in an open plan office: it breaks down the walls of hierarchy between staff and management, it maximizes space and saves on construction costs. However, the long-term effect is dealing with office noise. The ability to concentrate, talk on the phone or have an impromptu meeting – without bothering your colleagues – can be a problem. Soundproof pods are the perfect solution for open plan offices where noise is a distraction; available for order at WSG. The solution? Soundproof pods. Sounds futuristic right? 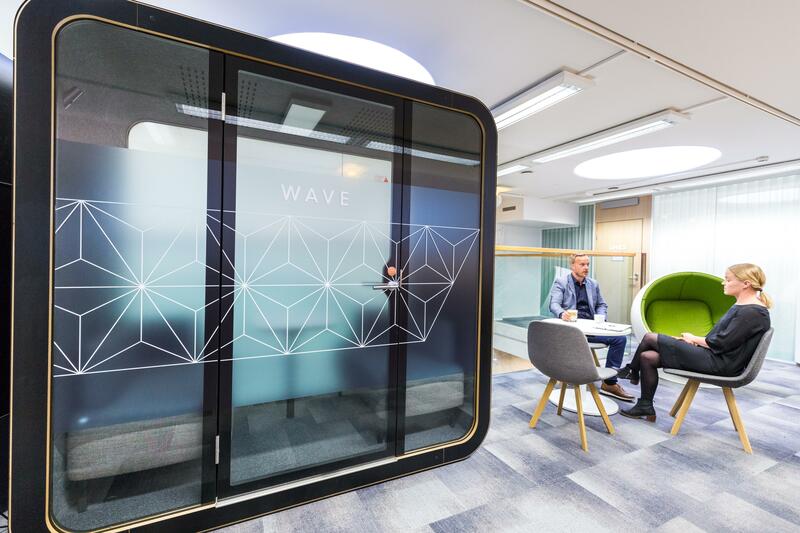 Yet, more offices now use pods as an alternative to building out telephone rooms. WSG is excited to be working with Framery Acoustics, a Finnish-based company taking soundproof acoustics by storm. Their cutting edge pods are designed to accommodate one or more people. Framery is a Herman Miller alliance partner. 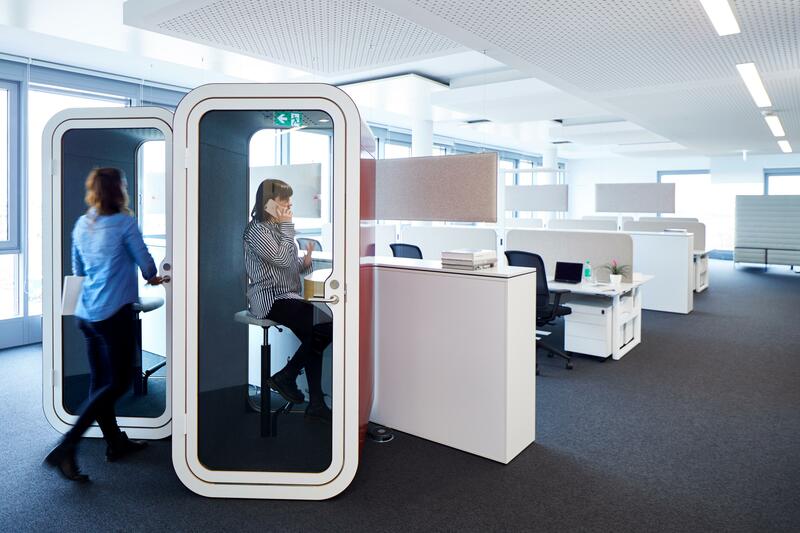 Staff don’t have to leave the work area to make a call when soundproof pods are available. Impromptu meeting in an open plan office? No problem! Excellent ergonomics, advanced ventilation system and superior acoustics all create a comfortable environment. 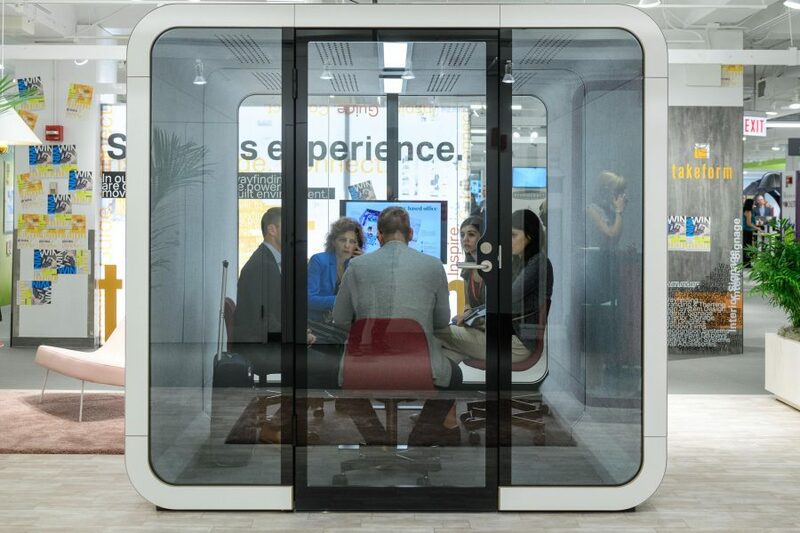 Easy to assemble, soundproof pods can be placed anywhere – without the expense of building more meeting rooms. WSG invites you to try Framery for yourself, in fact, we are now booking appointments showcasing the Q Telephone Pod. 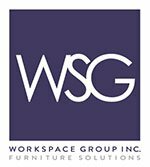 Contact WSG to get your office on our schedule. Elissa Freeman is a Strategic Communications Consultant for Workspace Group (WSG). She is also a PR and pop culture media expert for Corus Entertainment’s The John Oakley Show on AM640, The Scott Thompson Show on AM900 CHML and “The Morning Show” on Global TV.